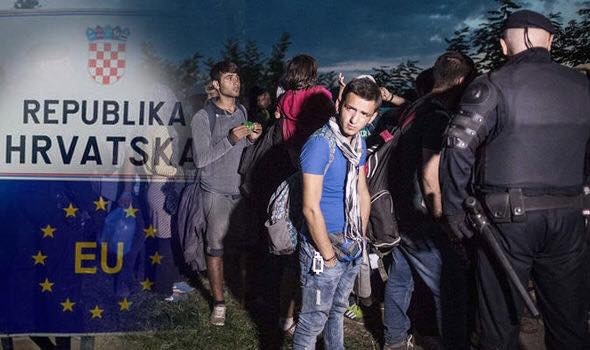 Home Europe Serbian and Croatian police have detained 17 people suspected of smuggling dozens of migrants into the European Union. Serbian and Croatian police have detained 17 people suspected of smuggling dozens of migrants into the European Union. * Croatia. In a joint sting, Serbian and Croatian police have detained 17 people suspected of smuggling dozens of migrants into the European Union. ** Official data show there are up to 4,500 migrants stranded in government-operated camps in Serbia, where they wait for smugglers to transport them north. This is a recipe for disaster and we are of the firm belief that these illegal migrants must be deported back to Turkey or their countries of origin. According to Reuters, the Balkan route was effectively closed early in 2017, but a steady trickle of migrants, arriving mainly from Turkey via neighboring Bulgaria, has continued. Many migrants use smugglers to reach the EU. In a statement, the Interior Ministry said the group of smugglers detained in Belgrade and four northern towns comprised 12 Serbians and one Afghan man. The police in neighboring Croatia have detained four more suspects. “It is suspected that this criminal group facilitated the illegal crossing of the border and transit … to a total of 82 migrants from Afghanistan, Iran and Iraq, from whom they took 1,500 euros ($1,800) per person,” it said. *** The EU and Dimitris Avramopoulos must end the counterproductive chatter of relocation quotas and “committing” Europe to mass migration. Europe must focus instead on a “permanent and ongoing” mechanism to deport the illegal migrants outside of Europe. We reject the proclamation of Avramopoulos that “Europe’s migrants are here to stay”. He does not speak for Europe. Bulgaria arrests gang suspected of smuggling migrants to Western Europe.